June | 2015 | Dragons Rule OK. I have often wondered how it comes about that we start the year 10 days after the Winter Solstice. This doesn’t seem to make any sense. It is not on any obvious astronomical day, so why then? It would be more logical to start it on the solstice when the days are beginning to get longer, or at the Spring Equinox when things begin to grow anew. Even the summer solstice could be considered as at that time the daylight is waning and that could be considered an ending. Autumn Equinox too could be thought of as an ending of the old year as all the crops are gathered in ready for the cold winter ahead. Similarly, why start the day at midnight? That too seems illogical if you look at it closely. To me it would seem more logical to start the day at dawn. I considered these things when deciding about how time was to be measured on Vimar and came up with the system you can read about below. I have kept the hour as I did not want to make completely wholesale changes to confuse my readers too much and so I kept the hours and minutes as they are on Earth. Vimar circles its sun in almost exactly 360 days. This leads the people to have divided their year into 12 months of 30 days. Since it is not exactly 360 days, but in fact 360 days and 4 hours, this means that every 6 years an extra day is added to the year. This is added at the end of the year and is called the Day of the Gods. It is a holiday for everyone and as it comes just before Grillon’s Day, also a holiday when the New Year is celebrated, everyone looks forward to this time. is 0 hour, and Earth’s 12pm is Vimar’s 6th hour. Vimar has 2 moons, Lyndor and Ullin. Lyndor is slightly nearer to Vimar than Ullin and appears to be a gold colour. Ullin appears more silvery. It is considered propitious when the moons are both full together, and if both moons are dark, that is considered to be the least lucky time for any ventures. The best times for starting any venture is when both moons are waxing, and conversely, if they are both waning, that is a bad time, although endings are good at this time. The world has 2 large continents, The one featured in the Wolf Pack is the continent of Khalram. Grosmer is the largest country on this landmass and has a climate ranging from Mediterranean in the south to cool temperate in the north. To the west, beyond the Western Mountains is a vast plain on which live the nomadic people known as the Horselords for their mastery of the beautiful horses they rear. It is said that a huge ocean lies beyond this plain, but no one knows for sure. Beyond the Mountans of Doom in the east are the lands of Pelimar, a loose coalition of city states, Erian, ruled by an elected Master and the elven land of Rindisillaron. The lands to the south are largely unknown to the people of Grosmer, Pelimar and Erian, although trade does occur occasionally. The Great Desert is largely to blamed for this lack of contact. There is a large, mysterious continent to the far east also that occasionally comes to the attention of the people of Khalram because of the Raiders who come for plunder and slaves. Once, the elves and humans all lived together in Khalram, but soon they began to fall out and so the elven land of Rindissillaron was founded in the east of the continent. Here the elves could live in the way they wished, close to nature and disturbing the natural world as little as possible. The dwarves have always lived in the mountains where they can dig for the ores and gems they are so good at working. The other races, such as orcs and trolls, were banished to the far north, as far as the mountain range known as the Roof of the World and even beyond, it is thought, although no one has ever managed to cross this range and return. If you liked this post, or have any questions about it, please contact me. I have written poetry as well as prose during my lifetime. Unfortunately some of them have gone missing. In fact, all but one of my very early ones have gone to that great poetry book in the sky. Here is one I wrote recently, I hope you enjoy it. Like flames upon a pyre. The swallows they have flown. Their petals all have thrown. And mornings filled with dew. The cobwebs shine with dewdrops bright. That scatters in the air. And apples from on high. To turn into a pie. And the rain lashes down. And through the trees doth moan. Winter’s cold has now arrived. If you enjoyed reading this poem, please make a comment, or ‘like’ it. Which Cover Design Do You Prefer? Someone recently said that they thought that my cover for The Wolf Pack would look better darker. I would like to gather some opinions on this. What do you think? Please let me know by posting a comment. Extract from The Wolf Pack. Book 1 of The Wolves of Vimar Series. 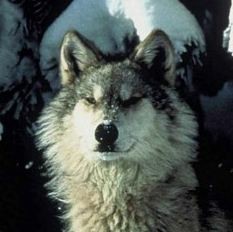 I have decided that I will start to serialize The Wolf Pack on WordPress. I am already serializing it on Blogger but I think that it will be a good idea to restart the serialization here so that new people can read it from the beginning. So here is the first extract–the Prologue and Chapter 1. The Most High of Kalhera looked at his visitor. With that, the Most High of Kalhera, Goddess of Death and the Underworld left the room through a door obscured by a black curtain. They carried the body of their king across the land and over the mountains until they reached the place he had asked to be his final resting-place. It was a beautiful place. A deep, forested valley surrounded by high mountains and with a steaming lake in the bottom. The lake was fed by water from deep within the volcanic mountains and was a warm and pleasant temperature. It had been the king’s favourite place in the entire world, albeit not in his own lands. It was here that he had met his true love. She was not mortal, but his love had been reciprocated and he wished to be near her in death. The king was buried in a burial mound that they prepared, and then they prepared two others, one on each side. They interred their king with due ceremony for all there were only fourteen of them there. The magister had half expected a fifteenth, but then she may have been watching from hiding, as she was shy of people. He looked at the others. ‘Are you all ready?’ the elven magister asked the assembled young warriors. He looked round the group of twelve. They were so young. He had asked for volunteers, and they were all more than eager. At the beginning, that was. Now one or two of them seemed more than a little afraid. Not that he could blame them. It was a very frightening thing he was asking of them. He noticed the youngest of them was visibly trembling. He was a lad of only sixteen turns of the sun, and yet he had volunteered readily enough when asked. The old elf sighed. Better give them one last chance to change their minds. He hoped that none of them did or there would not be sufficient for the task. Certainly twelve was the recommended number, but maybe less would suffice. The twelve young men formed a circle around the mage and the cleric of Kalhera, who had also accompanied them on their journey. They drew their swords and knelt, sword tips on the ground and hands clasped over the hilts. They bowed their heads. The young man known as Bry closed his eyes. He did not know what was to happen, only the outcome. His fear was almost palpable. The others felt it too, but they were all warriors, and none of them, not even Bry, allowed it to affect their determination to go through with it. They had loved their king and wished to do this last thing for him. Bry heard the cleric begin his chant in the centre of the circle, and then the mage joined with a chant of his own. The two chants seemed to weave around each other, in and out until the two men seemed to be chanting one chant. The young man felt a little strange, light headed, almost, and then there was a sudden wrenching pain that seemed to be accompanied by a crack. It was gone almost as soon as he felt it and he wondered if the spell had failed. He dared to open his eyes. Yes, something had gone wrong for there were his companions still kneeling in place. He glanced down at himself. Yes, there were his hands grasping his sword. But just a moment! What was that lying in front of him? With horror, he realised it was his own body. The spell had worked after all. He was dead, but his soul was tied to Vimar. He would remain here to guard the body of his King until the prophesied time came. The group of twelve warriors looked at their bodies. Bry was thinking of all the things he had not done in his sixteen years. He would never now marry and have the love and companionship of a woman, never hear his children and grandchildren laughing and playing. Never again eat a good meal or get drunk with his companions. For centuries to come he would patrol this lake and the hidden tomb in the caves below, protecting them from harm until the eight came. The Wolves. The half-elf leafed through the book that he was studying. He was due to take the tests to end his apprenticeship soon. Mabryl, his master and adopted father had sent off to the Mage Tower in Hambara asking for the young man to be considered for the tests at the next opportunity. He was a tall, handsome young man, just over six feet with shoulder-length auburn hair, a closely trimmed beard and eyes of an intense blue. He was sitting in the study at the home of Mabryl in Bluehaven, which was situated on the south coast of the land of Grosmer. With him were Mabryl’s other two apprentices, 14 year old Tomac and 16 year old Emmienne. Tomac pushed a lock of his unruly dark hair out of his eyes. ‘It’s pretty cold out there,’ he said, ‘and it’s turning to snow if I’m not much mistaken. Unusual this far south.’ He turned to his three apprentices. ‘Have you finished the tasks I set you?’ He hung his cloak on a stand by the door. Carthinal stood up and walked over to the fire, putting a fresh log on to the flames. Mabryl laughed. ‘Such enthusiasm. We’ll try it out tomorrow, I think. In the meantime, I’ve made what I think may be a big discovery. Perhaps the most important one for many, many years. Look.’ He put an ancient looking book on the table. The three apprentices gathered round. Nearly seven hundred years previously there had been a war between conflicting mages. It had caused such devastation and hardship that the king had forbidden the use of magic on pain of death, and he ordered all spell books to be burned. Some, however, had been hidden and these came to light occasionally. During this time, much knowledge had been lost and there were mages working to try to re-discover the lost spells. If this book were to be of use, it would need to be taken to one of these mages. ‘Sorry to disturb you, sir,’ she said, ‘but a bird arrived a few minutes ago. I thought you should know.’ She glanced towards Carthinal and smiled. ‘Probably nothing important though,’ she teased. ‘I’ll come and look,’ replied the mage and left the three apprentices to their own devices. Carthinal picked up the book and began to leaf through it. He could understand little of what was written there. Firstly it was in an archaic script and language and secondly he was as yet only an apprentice and had not the knowledge to understand more than a limited number of spells. He frowned as he tried to read the words on the page. He lifted the book from the table to take it nearer to the light when a loose page fell onto the floor. He stooped to pick it up and realised that he could read it, unlike the rest of the book, and that it was not a page that had fallen out, but a note that had been inserted there. He took it to the window seat and sat by Emmienne to read it. ‘I’m not sure,’ replied Carthinal wrinkling his brow. ‘It fell out of this book that Mabryl has bought but it doesn’t seem to be the same writing, nor is it in the same archaic script. It’s a note of some kind.’ He paused to read it. ‘It’s good news, Carthinal,’ he told the young man. ‘There is a space for you to take your tests in the next batch, which take place just before Grillon’s Day. That’s in about five sixdays time so we’ll need to leave here soon to allow us time to settle in before your ordeal.’ He saw that Carthinal was holding a paper. ‘What’s that you’ve got there?’ he queried. When impossible beasts occur and the never-dying man is once more at hand. Mabryl turned the page in his hand and saw some more writing on the back. ‘We must take this to a colleague of mine in the Mage Tower when we go,’ he continued. ‘She is working on finding the old spells, I believe and this may be of use to her. The loose note may be a prophecy if it came from the Oracle, but who knows when it was made? It could be that it was centuries ago, or yesterday; and it could be referring to a time well in the future or even in the past. I think we should ignore it for now. The three apprentices forgot all about the book and the note as they enjoyed the housekeeper’s excellent cooking and after the meal they returned to their studies. Mabryl gave them all tasks to complete and then went out again to visit the Duke of Bluehaven who was an old friend of his, taking the book with him. Duke Danu of Bluehaven had trained at the Mage Tower in his youth. He had some talent for magic, but with the death of his elder brother in an epidemic, he had to take over the duties and prepared to become the Duke one day. He had never taken the tests to end his apprenticeship, but he retained an interest in magic and still practiced it in a small way. ‘To keep my hand in,’ he told people. He pulled the spell-book out of a bag at his side. ‘I’m going to take this to Yssa at the Mage Tower when I take Carthinal. She will be the best to decide how important it is.’ He handed the book to Danu. The two old friends then spent the afternoon remembering past times and gossiping about the goings on in the city of Bluehaven as the afternoon passed into evening and the Duke’s work lay unfinished on the desk. How well can you spell? Go back to school and take our spelling test to find out – BT. I got one wrong! How shameful is that for an author? 9 Commonly Confused Pairs of Words. There are a number of words that are frequently confused by people. In this post I hope to clarify nine of these pairs. Brought is the past tense of ‘to bring’ and means to fetch something. e.g. The dog brought the ball back to me. Bought is the past tense of ‘to buy’ and means to purchase something. e.g. When I went to town I bought a new blouse. The mistake is always using brought for bought and never the other way round. A simple rule of thumb can be: If it only comes in whole numbers, then it’s fewer, but if it can be in fractions, then it’s less. Literally means that it actually happened. e.g. It was literally snowing a blizzard. In this case, there would be no visibility to speak of and snow falling as if it were in the Arctic or Antarctic with a strong wind blowing it almost horizontal. Virtually means it is not actually that thing. It is used when a metaphor is used. e.g. The footballer was virtually flying down the wing. If the speaker or writer said ‘The footballer was literally flying down the wing’, that would mean that he had somehow sprouted wings! I recently heard a broadcaster on the radio use infer when she meant imply. These people ought to know better. Most, I assume, are journalists, or at least have a ‘good’ education with a degree. They should know the difference, and if they don’t, in my opinion, should not be in the job. Imply is what someone says when they want to suggest something without actually saying it in so many words. Infer means that someone has drawn a conclusion from a statement. This is one for the written word. Lose is when you misplace something. e.g. You are going to lose your purse if you don’t put it away. Loose is when something comes undone. e.g. My shoelace has come loose. A Tragedy is something very sad. e.g. It is a tragedy that he died so young. A Travesty is to make something ridiculous. e.g. The dogs runnign onto the pitch made the football match a travesty. Effect is a noun. It is the result of something. e,g, What is the effect of mixing red and yellow together? Affect is a verb. It says what something does. e.g. How did the accident affect you? This is one I heard from young people when I was teaching. Popular means well liked by a lot of people. e.g. Dean was always full of fun and so was very popular with his team mates. Common means that there are a lot of them. e.g. Herring gulls are very common in Brighton. In this last incident, many pupils would say that the herring gulls were very popular, but if you asked the car owners of Brighton, I think you would get a very different view. Defective means that a thing is broken in some way. e.g. I sent my new vacuum cleaner back because it was defective. It was failing to pick up the dirt. Deficient means that there is something missing. e.g. The new wardrobe I bought was deficient. There were not enough screws to put it together. Please feel free to make a comment on this post. I will endeavor to get back to you.